Most airlines and hotel chains have co-branded credit cards. Most of these cards allow you to accrue points to be used for travel or products. Some credit card companies offer huge sign-up bonuses after you are approved. 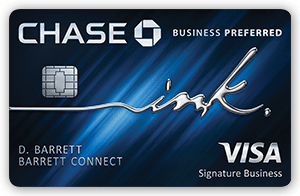 I earn miles and points on different credit cards each month as I make my regular payments. Most of these points come from strategies in how I use my cards each month. I use them to pay all my monthly expenses and then make one payment at the end of the month to accrue the maximum amount of points. This use of credit cards can be risky if you are not diligent in paying that bill each month. • 10% is made up from the different types of credit you use. What are the best types of credit card offer to take advantage of right now for travel? Here are credit cards that are perfect fo the person that loves to travel. Card Bonuses: 3X points on travel and dining at restaurants worldwide & 1 point per dollar spent on all other purchases. $300 Annual Travel Credit as reimbursement for travel purchases such as airfare and hotels charged to your card. Get 50% more value when you redeem your points for airfare, hotels, car rentals and cruises through Chase Ultimate Rewards. Access to 900+ airport lounges worldwide with complimentary Priority Pass™ Select membership. The card has a massive sign-up bonus, and on top of that has lots of perks that make it valuable long term. I value Ultimate Rewards points at ~1.7 cents each, so to me the 100,000 points are worth $1,700. Current Offer: Earn 80,000 bonus points after you spend $5,000 on purchases in the first 3 months from account opening. Card Bonuses: Earn 3 points per $1 on the first $150,000 spent in combined purchases on travel, shipping purchases, Internet, cable and phone services, advertising purchases made with social media sites and search engines each account anniversary year. Earn 1 point per $1 on all other purchases—with no limit to the amount you can earn. The Ink Preferred has a fantastic, practical rewards structure. Triple points on travel, telecommunications, shipping and advertising on social-media and search engines, covers a lot of categories that are actually useful to businesses. Current Offer: Special Offer - Earn 50,000 Membership Rewards® points after you spend $5,000 in purchases on the Card within your first 3 months of Card Membership. 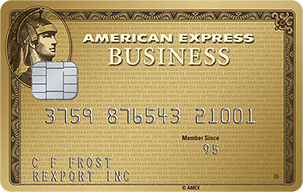 Card Bonuses: 3X points on one category of your choice from the following: Airfare purchased directly from airlines; U.S. purchases for advertising in select media; U.S. purchases at gas stations; U.S. purchases for shipping; U.S. computer hardware, software, and cloud computing purchases made directly from select providers. 2X points on the 4 remaining categories. 1X points on other purchases. erms and limitations apply. 3X and 2X apply to the first $100,000 in purchases in each of the 5 categories per year, 1X point per dollar thereafter. Membership Rewards has many transfer partners, including Aeroplan, British Airways, Delta, and Singapore. Card Offer: Earn 50,000 bonus miles after you spend $3,000 on purchases in the first 90 days – that's enough to redeem for a $500 travel statement credit! 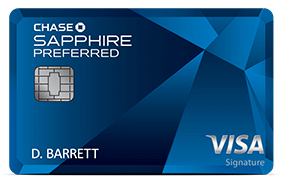 Card Bonuses: Earn 2X miles on all other purchases; Chip card technology, so paying for your purchases is more secure at chip-card terminals in the U.S. and abroad; Complimentary online FICO® Credit Score access for Barclaycard Arrival cardmembers. Get 5% miles back to use toward your next redemption, every time you redeem for travel statement credits. 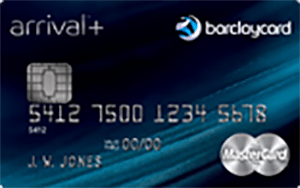 This is one of the best travel cashback credit cards out there, and this is the best offer we’ve seen on the card. You’re getting a sign-up bonus worth $525+ with no annual fee the first year, which is fantastic. Non-Affiliate Product Disclaimer: The information for these credit cards has been collected independently by Wheelock Travel. The card details on this page have not been reviewed or provided by the card issuer.